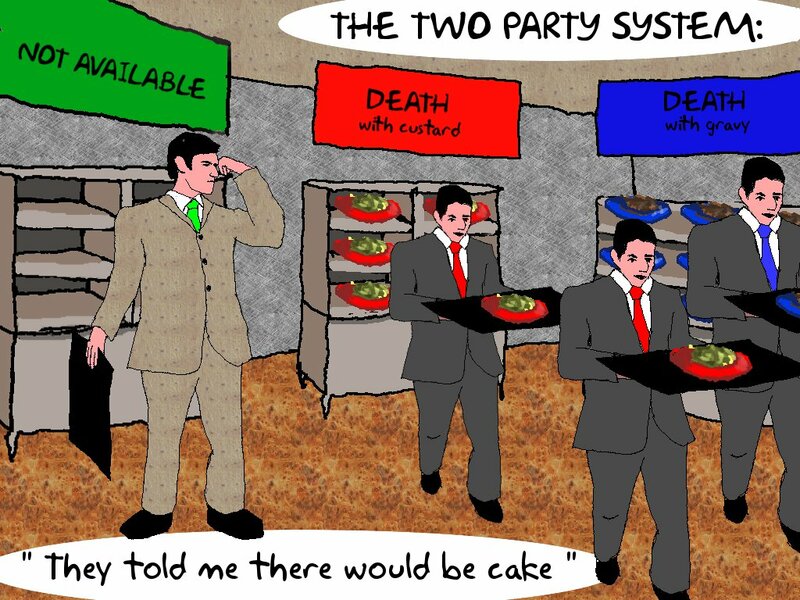 5th may: referendum in the UK about reforming our “two party” first-past-the-post voting system. There is much discussion about whether to vote yes, or no. Most of it focusses on the short term impact – how seats won would change in the new system if people kept their voting habits. This misses the point. More astute observers note that whether people support “yes” or “no” depends on how their preferred party will benefit. This is true, but somewhat beside the point – we should choose a system that gives the best outcome, not the one that favours us. An important, and somewhat overlooked implication is that the Alternative Vote (AV) system would allow people to vote honestly. This means that candidates can be ranked by the order an individual wants. This is not true in the current “First Past the Post” (FPTP) system, where many people are forced to vote tactically. If you want your vote to count, you have to pick your favoured option from the two candidates you predict to do best. This prediction leads to a very nasty feedback – the two leading options in public opinion (usually the top two from the last vote) get a disproportionate share of the vote. This is bad for the system in general because votes do not correspond to public opinion. The more we can tell the politicians about what we want, the better they can represent us. So we should prefer a voting system that allows us to be honest. Even worse, it leads to political lock in – the parties who did best in the past will do best in the future, irrespective of their policy. This permits leading parties to interpret a vote for them as a support for their policies, when in fact most voters may disagree with the majority of such policies. (Though more than the competing party…) This lets policies with little public support be pushed through… the Iraq war being seen as “supported” due to Labour’s re-election is one example of this, as is the Tory University reform. That is why I’ll be voting “yes”. PS No doubt the AV system will have its own problems, but the current system seems unjustifiably broken to me. I’d particularly welcome comments explaining how FPTP is not broken in the sense above. It is about more than personalities: it is about having a real choice. NB: Inspired by making the decision Cake or death? when the cake is a lie. Of course, it will still be politics and the cake will still be a lie, but we might hope for a slightly more appealing specials board. Police reported three dozen cheerful bystanders, yet no one claims to have seen who did it. It was that or say "tm" afterwards. Now that would not have been cool. … but not very much. Authors note: Not only does this discuss the very important contempory issue of chocolate versus any other ice cream, it also has pirates who are ninjas. Sometimes it helps to get some perspective. I think therefore I am….